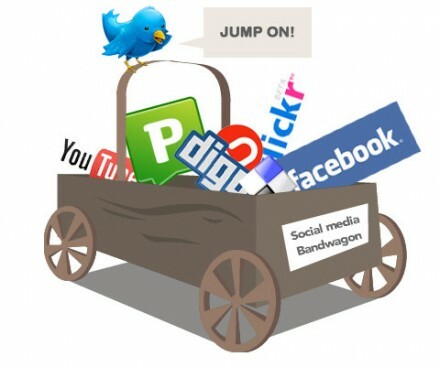 Social media has numerous potential benefits. The most popular of which is social networking which is highly in practice throughout the world. This plays an important role in building businesses and companies. Social media fuels a lot of the big industries that we have in society today. Because of this influence, SEO and social media experts were born giving rise to what we call today as, internet marketing. Moreover, social media now has become the easiest method of communicating and keeping in touch with relatives and friends living far away. This makes it easier to maintain relationships. In addition to this, social media has also become popular in educational institutes. Out-of-class discussions between teachers and the students have now become a possibility. Furthermore, social media is inexpensive and free of cost for the business community. The only cost is that it demands plenty of time and needs ample amount of interaction, making profiles and building reputation. Apart from this, the tools of social media are very easy to use. The interface is quite user-friendly and trouble-free. Adding to this, social media has a global audience because it is easily accessible to everyone. When talking specifically about business, social media plays an extremely important role in building relationships between different companies and clients across the world. This is one of the main reasons why social media is the fastest and most efficient way of marketing and reaching more customers. All of this becomes easier because businessmen and entrepreneurs also get the opportunity of tracking their progress, after which they can plan new strategies for further development. In a way, social media is a much more enjoyable and more innovative method of conducting business. Social media also creates awareness among people about different things and issues by spreading the news over different parts of the world. In this way, no one lags behind and copes up with the modernizing world. However, it should always be remembered that over exposure to social media is hazardous and has a negative impact on a person and even to one’s business. As is with the case of adopting a single online social media strategy, not only is this ill-advised but could potentially damage a company’s reputation in front of a million users. This in turn could result in great losses to the business or the company. Social media also increases the probability of fraud as most transactions are made online and people can pretend to be who they aren’t. In addition, with websites like Facebook and Twitter in fashion, students and even employees tend to spend great time idling about instead of doing something fruitful. Hence, excessive use of social media has harmful effects on a person’s mental and physical health. It makes him distanced from the real and practical world. As with all things, moderation is always key, knowing how to handle social media to further improve your business goals is a ticket to success. Austin Richerd works for Pass Certification. It provides an inclusive and really cost effective IT Certifications Exams material. The pass certification 000-958 Exam preparation material is guaranteed to help you succeed with your IT Certification on the first go. Try it today.